The Pharmacy Technician program has been programmatically accredited by the ASHP/ACPE Pharmacy Technician Accreditation Commission (a collaboration between the American Society of Health-System Pharmacists and the Accreditation Council for Pharmacy Education).1 For 75 years, ASHP has been at the forefront of efforts to improve medication use and enhance patient safety. Various Unitek programs prepare students by giving them access to healthcare facilities, simulation training, and extensive instruction. The programs offered at the San Jose Campus are convenient and efficient, as they can all be completed in a year or less. The San Jose Campus is located 25 miles from the Fremont main campus. Bordered by Santa Teresa Boulevard and Great Oaks Boulevard, the San Jose Campus is also located near the W. Valley Freeway. There are various nearby establishments, including shopping centers, schools, and apartment complexes. Several parks and eateries are nearby as well. San Jose is the third most populous city in California and the tenth most populous city in the United States. It is considered to be the economic, political, and culture center of the renowned Silicon Valley, an area known for housing some of the world’s largest technological corporations. San Jose is home to numerous performing arts companies, sports teams, and landmarks. Vocational Nursing program in San Jose: This program gives students the knowledge and skillset they’ll need to pass the licensure exam in as little as 12 months! If you like to help people, this program could be a great choice—healthcare careers are often incredibly rewarding. Medical Assisting classes in San Jose: This program equips students with the experience and skills they’ll need to excel as a Medical Assistant. A supervised externship is included! Medical Office Administration courses in San Jose: Learn how to provide excellent patient administration with this program. Students will learn about medical office procedures, patient interaction, medical records, and more. 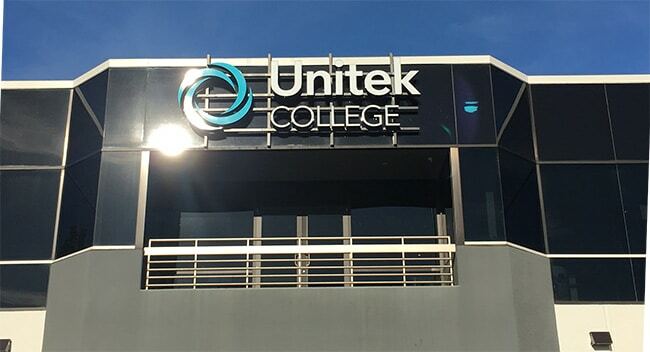 Dental Assisting program in San Jose: Unitek provides Dental Assistant training and gives students the knowledge they’ll need to succeed in the field. The curriculum includes lab work, in-class instruction, and a supervised externship. If you’re searching for Dental Assistant programs, this could very well be the one for you!